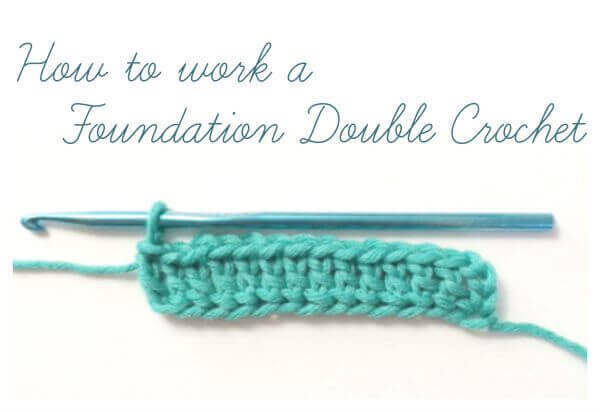 A Foundation Double Crochet (abbreviated as Fdc) is a way of starting a project without making a beginning chain. In effect, you are working your beginning chain AND your first row of stitches in the same step. There are some great benefits of using a chainless foundation, not to mention the satisfaction of jumping into your project right in your first row! One benefit of foundation stitches is that they tend to have more give and elasticity (especially helpful for cuffs, necklines, and heels) and can be extremely helpful for those who tend to work their beginning chains too tightly. They are also great for larger projects, like an afghans (like my free Sea Glass Afghan pattern here), where a long chain can become unwieldy. 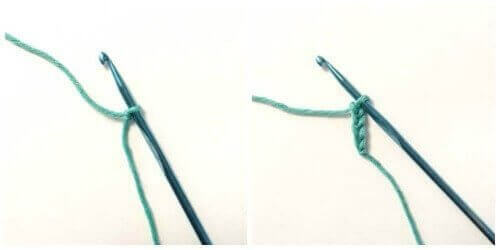 Start as usual with a slip knot on your hook and ch 4. Yarn over and insert hook into 4th chain from hook (this chain counts as the first chain in your foundation and the skipped 3 chains count as the first double crochet) and pull up a loop (3 loops on hook), yarn over and pull through first loop (this counts as your second foundation chain; 3 loops again on hook), complete as you would a normal double crochet (i.e., yarn over pull through 2 loops, yarn over pull through remaining 2 loops). You have now completed your next foundation double crochet. *Yarn over and insert hook into the chain at the base of your foundation double crochet just made, yarn over and pull up a loop (3 loops on hook), yarn over and pull through first loop (this counts as your next foundation chain; 3 loops again on hook), complete as you would a normal double crochet (i.e., yarn over pull through 2 loops, yarn over pull through remaining 2 loops). Another foundation double crochet completed. 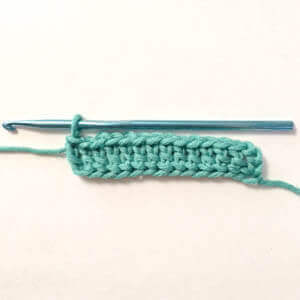 Continue following tutorial from * until you have your desired number of double crochets and continue to Row 2 of your pattern. Just happened onto this page & I am so happy to learn this method!! I used to get so disgusted with having to count chains and then lose count & have to start over…this is wayyyy better!! Thanks for sharing! If I was using a pattern to chain 242 and DC into 4th chain from hook, how many FDC would I make? A video tutorial would be better than the photo one , and easier to understand for everybody. Actually, I liked this tutorial much more than many of the videos I’ve seen. It was very clear and easy to understand. thank you so much. i thought i was losing it. this wirks graet. i knew how to do the fsc but that doesn’t always work if your afghan for instance is a dc pattern. thanks again. i have read through your instructions thrice and i’ve tried to actually crochet this but there appears to be a yarn over missing. 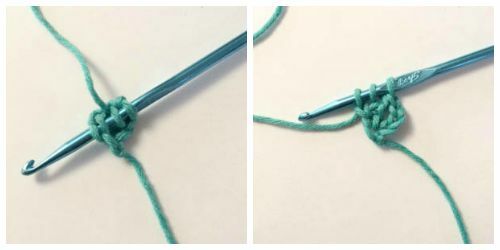 if i start with a loop on the hook, chain 4 (there is only one loop on the hook at the end of the chain) then taking a stitch in the fourth chain from the hook is only two loops on hook. there should have been a yarn over as for a regular double crochet, yes? finishing that stitch the same mistake occurs on the second stitch. so i thought i was doing it wrong. but i have been crocheting for about 50 years and i can usually read patterns except for leisure arts. what am i missing? There is a yarn over missing, probably one of those things that you think you’ve written and when you read back it doesn’t click it’s not there because you just expect it to be there. Go to youtube and do a search for foundation double crochet, I recommend bobwilson123 or the crochet crowd but there are lot of videos on foundations for sc, hdc, Dc. You are correct! Thanks so much for helping out the other readers. I made the correction. I enjoy your news letters and now that your hooked up (pun intended) with Moogly as well its twice the fun. You are correct and I have made the correction to the tutorial. Thanks so much for the catch!! Sorry for the confusion! Didn’t know this was possible! Thank you!